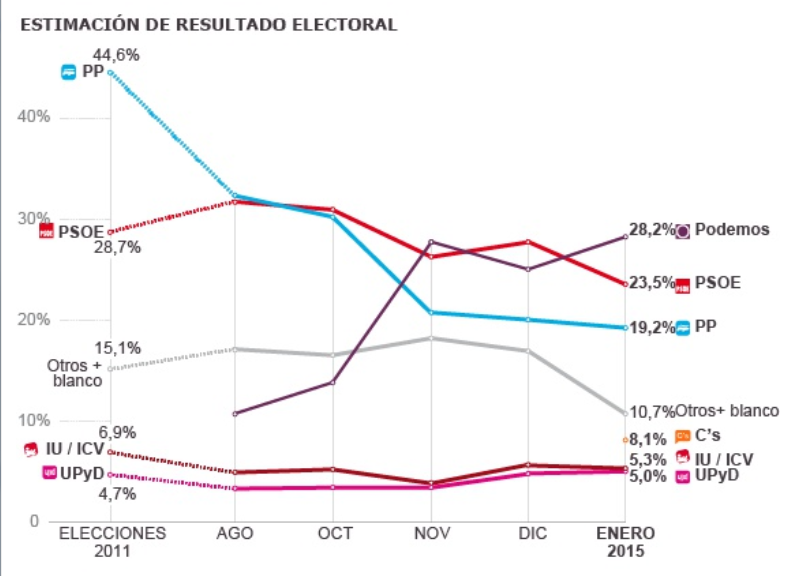 Podemos, a Spanish far-left populist party led by Pablo Iglesias is once again in the lead the polls. Elections are scheduled for November of 2015. The surge of Posemos adds another contagion wrinkle to the German bluff that Greece does not matter. Actually Greece very much matters, but Spain would be a bombshell. Finally, here is a snip from Biggest Bubble: Central Bank Credibility; Cautionary Tale of Global Gloom from Down Under, written earlier today. I believe two of the alleged fringe parties are going to win the next election. 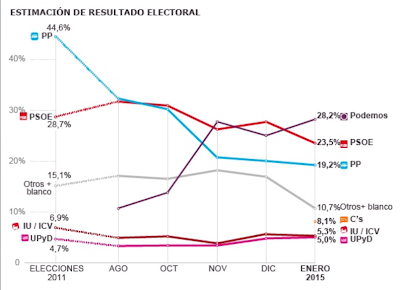 I expect wins by Podemos in Spain and Syriza in Greece. An outright win by the 5 Star Movement in Italy is not out of the question. The Troika and Germany have their hands full here if they cannot stop these movements. But the only way to stop these movements is debt relief to Greece, Spain, Portugal and budget concessions to Italy and France. 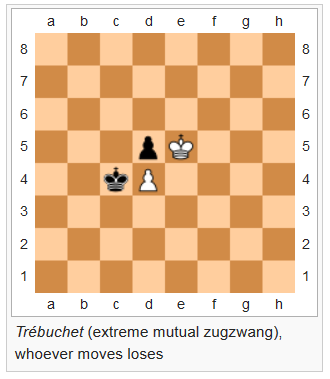 The appropriate term for this situation is Zugzwang. In chess parlance, it means that it's a player's turn to move, but whatever move he makes will result in loss of position, perhaps even the game. Whoever moves loses the game. It's fitting the term originated in German chess literature in 1858 since it's Germany's "no-win" move to stop contagion from Syriza and Podemos. Unlike chess, Germany can elect to do nothing. Yet, if Germany elects to do nothing, there's a strong chance Greece would then be forced to exit the euro. So chancellor Merkel, it's your move. What's it going to be?